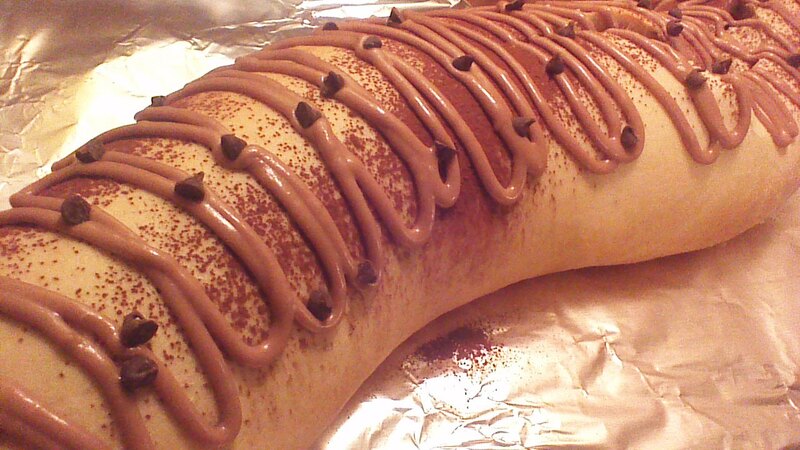 Half Loaf of Cinnamon Bread – Look at that yummy center! *Either thaw two loaves of Rhodes frozen white bread dough, available in the freezer section of any supermarket, or make a batch of Simple Bread dough and stop at the end of step 5! Step 1) Melt 2 tablespoons of butter. Stir in brown sugar and cinnamon. Set aside. Step 2) Grease a counter top with 1 tablespoon of vegetable oil. 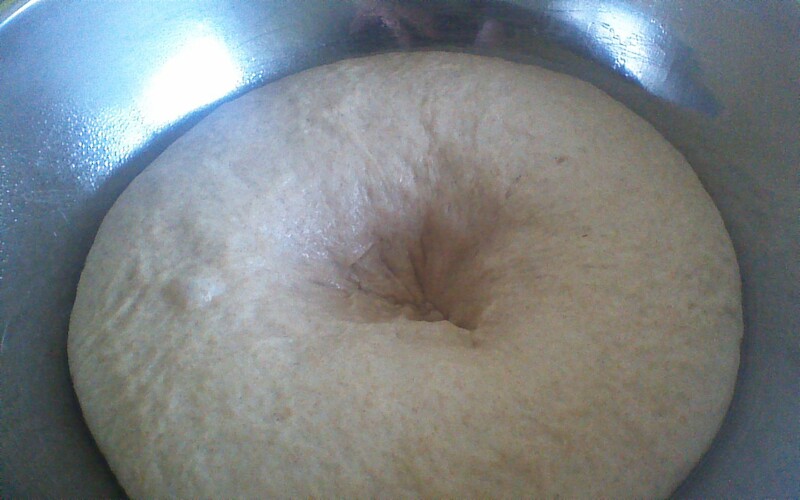 Working with half of the dough at a time, roll out the dough into a rectangle approximately 10″ wide and 16″ long. 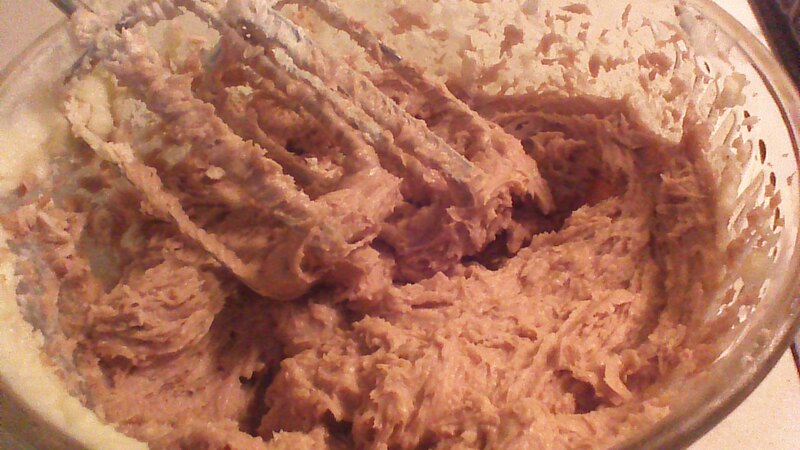 Step 3) Beginning right along one of the 10″ edges, spread half of the butter/sugar mixture over the dough rectangle. Leave about an inch along each of the long sides bare. Leave about 2 inches along the far, 10″ edge bare. 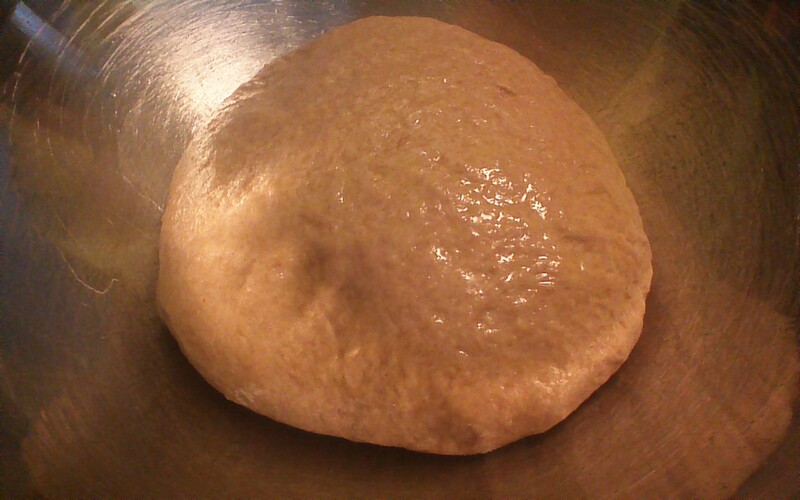 Step 4) Gently roll up the dough, beginning with the 10″ edge covered in butter/sugar, and rolling toward the 10″ bare edge. The 10″ bare edge should be on the bottom of your rolled up loaf, with the seam on the bottom. 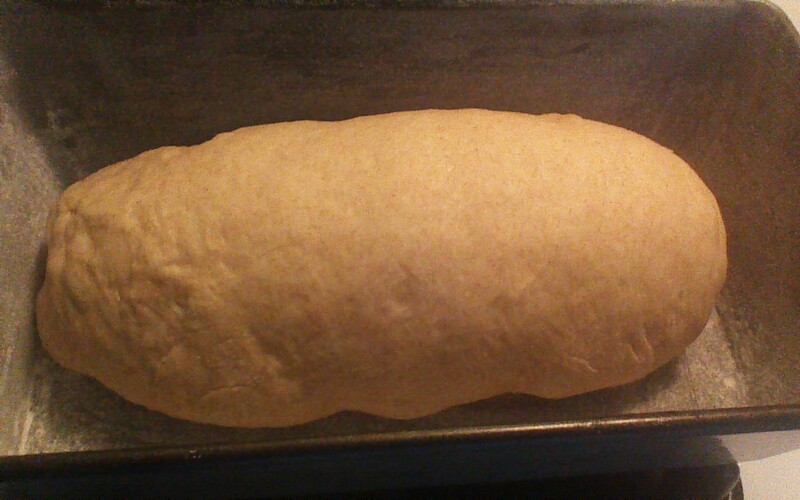 Gently pull the side ends down and tuck underneath the loaf. 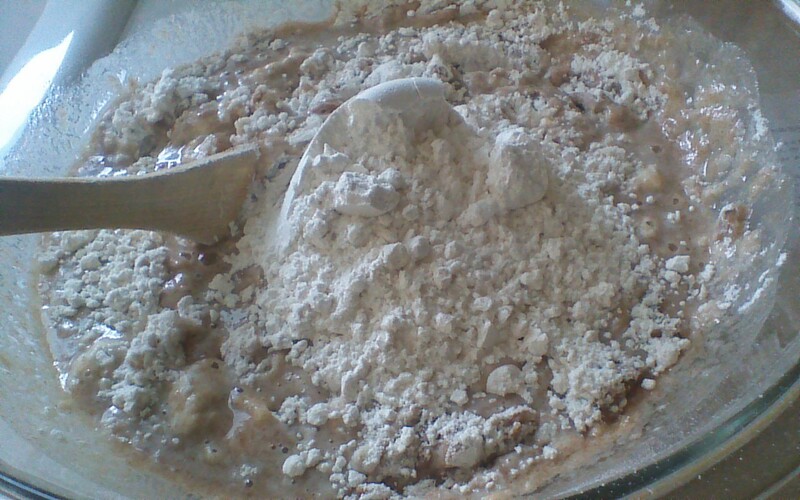 Step 5) Repeat Steps 2 – 4 with the second half of the dough and the second half of the butter/sugar mixture. Step 6) Grease a very large baking sheet with 1 tablespoon of vegetable oil. Then, lightly sprinkle the entire baking sheet with cornmeal. 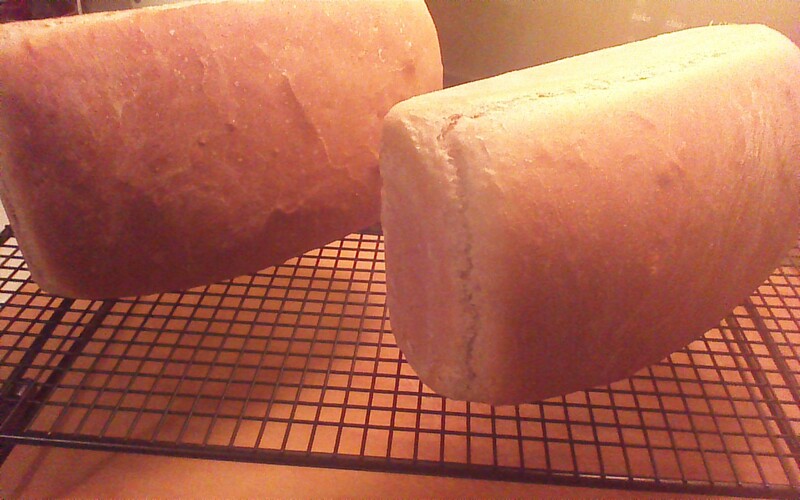 Step 7) Carefully set your two loaves on the baking sheet, with the seams on the bottom. Leave at least 3 inches of space around all sides of each loaf. If your baking sheet is not large enough to allow this, use two baking sheets! Step 8) Allow your loaves to rest while you preheat your oven to 350 degrees (do not begin preheating until Step 7 is complete). Then, after your oven is preheated, place your loaves on the center rack. 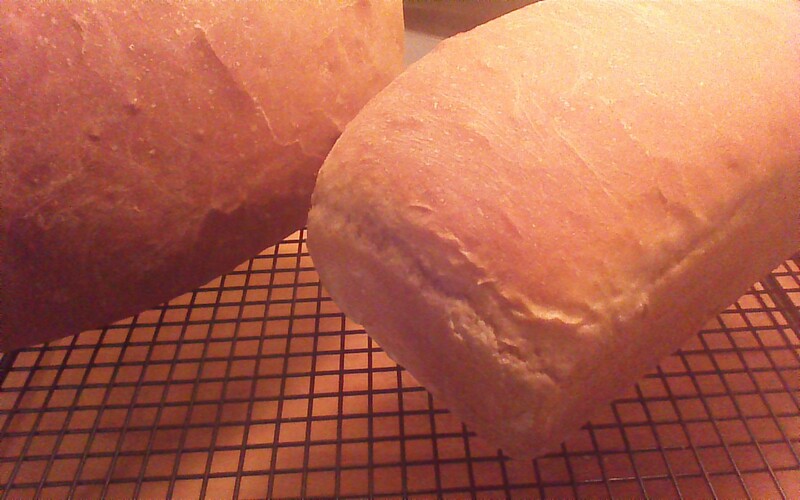 Bake for 25 minutes or until loaves are light golden brown. 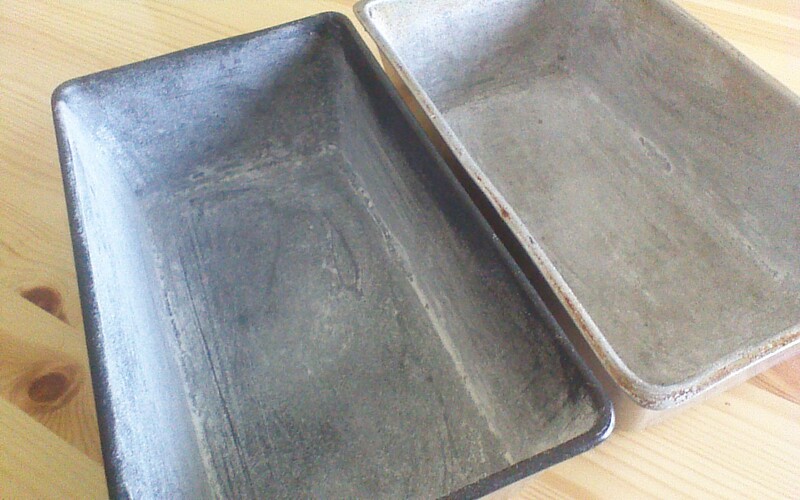 Remove loaves from baking sheet and cool on a wire rack. 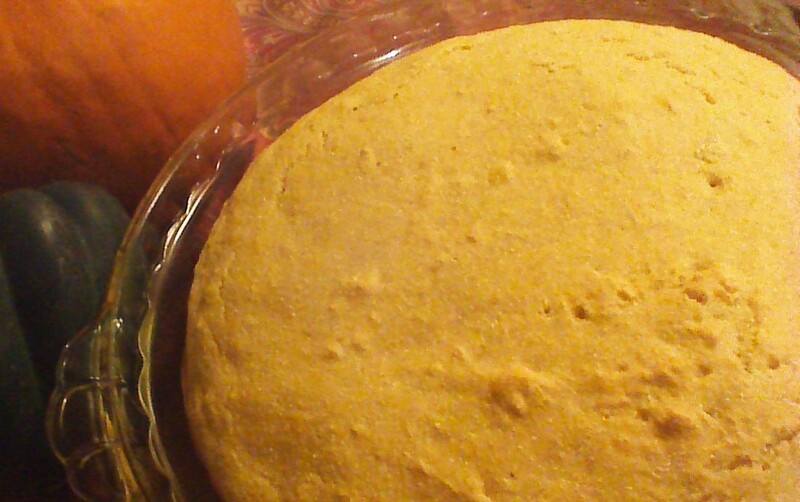 Optional: After loaves are cool, drizzle with cream cheese frosting for an added treat!